Feeling good means to have healthy self-esteem, know strengths and be comfortable with weaknesses. To be happy and emotionally stable we don’t have to believe that we are competent or successful in comparison with others. We can feel good about self with our imperfection. We can feel great and have the capacities to improve our flaws. 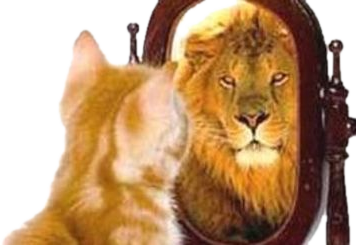 Components of healthy self-esteem allow flexibility in receiving criticism and compliments. When we are emotionally well we are proud of skills we have and we work on skills deficits. Feeling good about self is happiness from successes and learning lessons from failures. When we feel good about self we don’t experience abrupt mood swings and we enjoy life as is. • Healthy self-esteem means be okay just the way as one is and still striving to be more competent and better in future. • It is opposite to low and high self-esteem. Low or high self esteem cause feeling miserable and unhappy. • There are no overwhelming feelings of worthlessness or superiority attached to healthy self-esteem. • There is acceptance of feelings and good insight to personal imperfection. • our essential human need for survival in normal healthy development. • a result of our thinking, feelings, beliefs and consciousness. • a relatively stable and also dynamic part of personality. • a trait of us that can change under the influence of many factors in life experiences. • a false believe when we think high self-esteem is good. Both, high or low self esteem imply dysfunctional thinking that make us feel bad and unhappy.